20 YC2 young carers enjoyed working with Oxford artist Nicki Parsons at Stowe and produced a striking spun pure wool collage depicting their personal interpretations of some of the magnificent sculpture, plasterwork and paintings in the House. This artistic venture was made possible thanks to the generosity of Stowe House Preservation Trust. The resulting wall hanging has been on display for the many visitors to Stowe House during the summer and is now moving for a short period the Library in Verney Close Buckingham during January 2019 so that many more people can admire what these special children who have substantial personal caring responsibilities can achieve when given some time to be themselves. 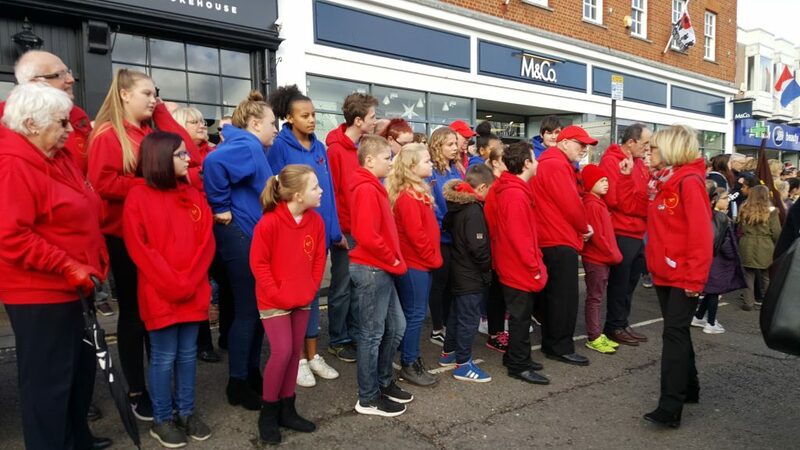 In November, the YC2 young carers, who are from Buckingham and nearby areas, took part in the Buckingham Town Remembrance Day Parade to the church for a special Centenary service in November 2018.